A casual smoking habit can easily turn into a lifelong battle with addiction. Find out how to keep your teen from starting to smoke - or help him/her quit now. With school opening, peer pressure can start. Maybe a friend picked up this bad habit of smoking and your teen is curious about it. Curiosity is normal - however be sure you have taken the time to talk to you your teen over and over again about the dangers of smoking. It is a topic you don't just talk about once, you have to remind your teen over and over about taking care of their bodies. The headlines of the three Long Island teenagers who admitted to being part of a gang that targeted Hispanics for violence were sentenced to seven-year prison terms Wednesday for their roles in the 2008 killing of an Ecuadorean immigrant. 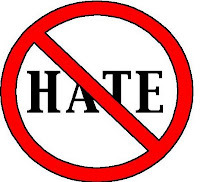 A fourth teen who met the group on the night of the slaying was sentenced to a six-year prison sentence, is yet another awareness to hate crimes. Over and over again we read articles about distracted driving. Oprah featured the No Phone Zone and accumulated thousands to join in. It is a fact, texting and driving or talking on your phone can kill. It is distracted driving that can take your focus off the road and into an oncoming car within seconds. Newsflash: Distracted driving includes bicycles! As school has opened in many parts of the country, including Broward County, teens will ride to their bikes to get to school. After witnessing several teenagers in Sunrise biking and texting in the morning to school, suddenly I realized that there are not enough warnings about the dangers of biking and texting. Riding a bicycle is part of growing up, however riding a bike responsibly is maturity. Teenagers need to realize distracted driving extends to distracted riding. A common thread among parenting teens today is getting our teen to actually listen to us and open up. Maybe they hear us, but do they listen? Many know communication is key to parenting, but how can you get a teen to open up? Dr. Michele Borba, Parenting Expert and Educator, offers excellent tips to help us get in touch and stay in touch with our teens. As an author of over 25 parenting books, she has sound advice and proven results with extensive research. Her latest book, Big Book of Parenting Solutions, has been one of the top selling parenting book and every parent and teacher must own. From the expert herself, take the time to review Michele Borba's expert advice to help your teens to open up. School is open, is your teen attending? Teen truancy (skipping school) is a growing problem. Truancy is a term used to describe any intentional unauthorized absence from compulsory schooling. Children in America today lose over five million days of their education each year through truancy. Often times they do this without the knowledge of their parents or school officials. In common usage the term typically refers to absences caused by students of their own free will, and usually does not refer to legitimate "excused" absences, such as ones related to a medical condition. It may also refer to students who attend school but do not go to classes. Because of this confusion many schools have their own definitions, and as such the exact meaning of the term itself will differ from school to school and district to district. Teen Drug Use and Teen Drinking also known as Substance Abuse amongst teens and even children. With today's society, kids have access to many different substances that can be addictive and damaging. If you suspect your child is using drugs or drinking alcohol, please seek help for them as soon as possible. Drug testing is helpful, but not always accurate. Teen Drug use and Teen Drinking may escalate to addiction. Good Kids, Bad Choices - Where Did I Go Wrong? Listening to parents on a daily basis struggle with what is going on with their teens today can be stressful and pull at your heartstrings. Many times it has nothing to do with the parenting, it is today's society and the harsh pressures of peer influence. In the same respect, you can't be a parent in denial - you can't assume since your teen's friend is making bad choices that your teen that is following that behavior is not part of the issue. Remember, it is your teen making the choice to smoke that joint - or drink that beer. Yes, it is peer pressure, but a teen has free will and they can say no. Need help? Is your teen spiraling out of control? 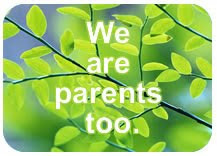 Check out www.helpyourteens.com - Stop being a parent in denial and give your teen a second chance at a positive future. Sadly many parents watch their teens spiral out-of-control using drugs and drinking. Today it seems there is more accessibility as well as freedoms that teens are taking advantage of. Worse than all of this is if your teen becomes addicted. Addiction can control your life and ruin it, as well as destroy families. Now the positive side. Year after year, National Alcohol and Drug Addiction Recovery Month (Recovery Month) witnesses tremendous success and commitment from people and organizations across the country. For more than 20 years, the campaign has joined together millions of people to celebrate recovery and educate communities about addiction. This year is no different. Get ready for September 2010 when Recovery Month is back and ready to reach into your community and make a difference in lives. What is next? As schools are opening and teachers, parents and administrators get ready for another school year, there is another form of bullying/cyberbullying developing. 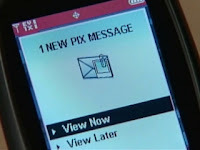 Sextortion.Teens blackmailing other teens for what they do online with less than flattering photos. Broward County is not foreign to text rage, as we saw in the Josie Ratley beating. Or is it stranger to bullying, as we witnessed when 15 year-old Michael Brewer was nearly burned to death. Now we are dealing with teens blackmailing each other to protect themselves from humiliation. What can you do? Talk to your kids about this now. This is even more reason for them not to be passing photos of any kind virtually. Knowing pictures can be manipulated and photo cropped into some very unflattering pictures, is a fact your teens need to not only recognize, but understand the consequences. Communication is key to prevention - talk, talk, talk and don't stop. There is nothing wrong with admitting there is no way we actually know all the teen lingo and the acronyms they use. However it is very smart to keep a few websites handy for when you are in doubt or concerned about a text or IM that you can't figure out. Teen Chat Decoder is an excellent website that not only has lists of acronyms and abbreviations, it has a search box you can type your questionable word/acronym in and it will give you the meaning. As parents, when our kids started to use the Internet more and more, we did what any good parent would do – we monitored their online activity. We reviewed their browser history, or some parental control software product like PC Tattletale. But it was really frustrating when we found that our kids used abbreviations and acronyms in when chatting online or via their cell phones. Now some acronyms are pretty easy to figure out, like “LOL” (Laugh Out Loud), but many made no sense at all – unless you were 15! 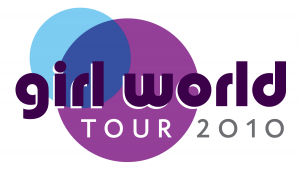 World renown Author and Parenting Tween and Teen Expert, Rosalind Wiseman is taking her Girl World Tour back on the road again this fall. With many stops on her schedule, Miami is one of them and they couldn't be more excited! This is an invitation to save the date! 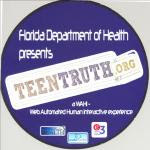 Sue Scheff: TIME TO TALK - New Study Shows Teens Spend 53 Hours a Week Electronically! It's out. It's official. It's new research from the Partnership for a Drug Free America that is shocking and revealing about today's teen and electronic media. As schools are opening all over the country and you are diligently getting your teen's supply list filled, stop and take the time to talk! New omnibus research from the Partnership for a Drug-Free America shows that more than one-third of parents are concerned that TV (38%), computers (37%) and video games (33%) make it harder for them to communicate with their media-engrossed teens about risky behaviors, like drug and alcohol use. The survey of more than 1,200 parents also confirms that a quarter or more are worried that newer forms of media, including cell phone texting (27%) social networking sites, like Facebook (25%) and Twitter (19%) hinder effective parent/child communication about the dangers of teen substance abuse. School is opening soon and parents are scrambling to get school supplies, uniforms books and other things needed to start off the school year. There is one item you can't forget, that is yourself! Parent involvement has a positive impact on their child's academic and social life in school. It can be difficult with many single parent households or parents that are working more than one job to make ends meet, but your child's school should be high on your priority list. Even if you can only volunteer an hour a month, it makes a difference. Many think that parent involvement is focused around moms, don't be fooled! Fathers are needed and wanted! More and more dads are getting involved and finding the time to make a difference their child's life. Teen Help: TIME TO ACT! School is opening and many teens will be starting high school for their first year. 9th grade can be a difficult transition for many teenagers. Just when you finally felt comfortable at your middle school, familiar with the guidance counselors and even chipper with the school nurse, life is making a major shift. According to a survey of 6,500 teens by the Partnership for a Drug Free America, 73 percent said the number one reason they turn to drugs and alcohol is to relieve stress at school. As the new school year begins, how can you help your teen adjust especially if they are starting a new school. The last thing we want to have happen is our teen turning to substance abuse to relieve their anxiety and stress about fitting into their new school and surroundings. Peer pressure can be overwhelming and the desire to be part of a group. Fear of not fitting in could fuel your teenager to engage in harmful activity such as drinking and using drugs to be part of a clique. As a parent, it is important to educate your children about diversity, teaching them to respect and understand other countries and their cultures and customs. Well how would you like to get involved with an organization that builds bonds of friendship and trust with the power to change the world too? Welcoming a high school foreign exchange student into your home is a great way to increase global awareness for your family, your schools and even across your community. 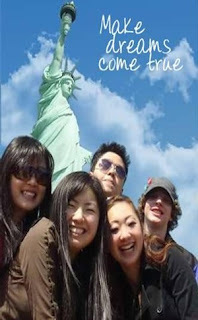 This month, EF Foundation for Foreign Study is looking for host families for the 2010-2011 school year. South Florida is a melting pot with many families from all over the world. It’s wonderful to think that by being a host family, you’d not only be learning about another culture in which you may not be too familiar with, but you’d also be creating a positive view of the United States that crosses oceans and lasts a lifetime. There are many adjectives to describe parents when they are looking for outside help for their struggling teenager. Is your teen reaching a level that he/she are out-of-control? Going down a negative path with only a few years left of high school? Do you fear for their future if they continue down this road? Okay, I love the phrase, "typical teenage behavior", which much of it can be. However what happens when this "typical" behavior lands them in juvie? Or in the hospital with an overdose? Most have tried therapists. Most have even tried out-patient programs. Some have tried sending their teen to a relatives to live. What happens when these ideas fail? For many, it is time for residential therapy. Now you really need to be engaged, do your homework and be extremely cautious. The world of teen-help is a major business and they are waiting for parents that are at their "wit's end" to call!